Blenny (SS-324) was launched 9 April 1944 by Electric Boat Co. Groton Conn.; sponsored by Miss Florence King daughter of Admiral E. J. King; commissioned 27 July 1944 Lieutenant Commander W. H. Hazzard in command; and reported to the Pacific Fleet. Between 10 November 1944 and 14 August 1945 Blenny conducted four war patrols in the Java and South China Seas. Blenny eight Japanese vessels totaling 18 262 tons. In addition she is credited with destroying more than 62 miscellaneous Japanese small craft by gunfire. With the cessation of hostilities Blenny returned to San Diego arriving 5 September 1945. She operated locally from the San Diego area during the remainder of 1945. Between 1946 and 1951 Blenny made one cruise to China (August-November 1946); participated in a midshipman cruise to Canada; made two winter cruises in Alaskan waters (1947-48 and 1948-49); and participated in fleet maneuvers off Hawaii and local operations near San Diego. On 24 May 1954 Blenny reported to the Atlantic Fleet. Since that time she has operated out of New London Conn. and has participated in Atlantic Fleet NATO and anti-submarine warfare exercises in addition to operating with a submarine development group engaged in evaluating new equipment. 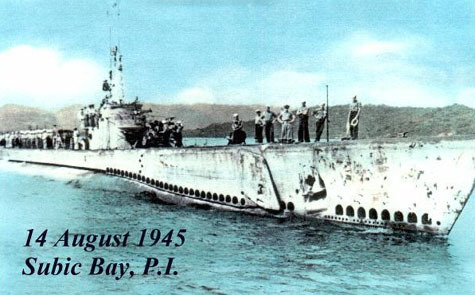 Blenny received four battle stars for her World War II service.